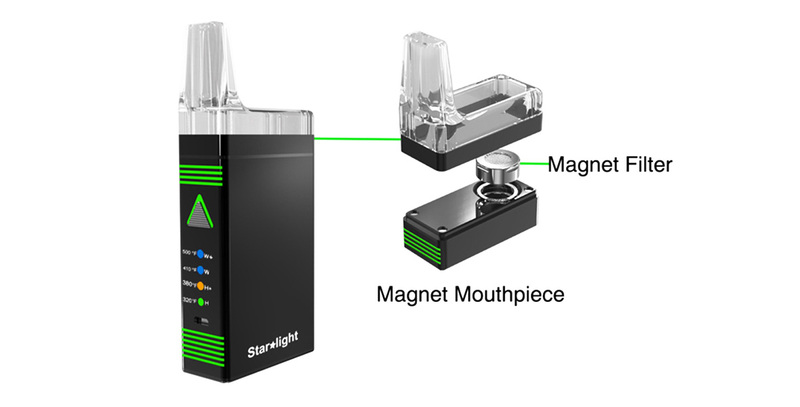 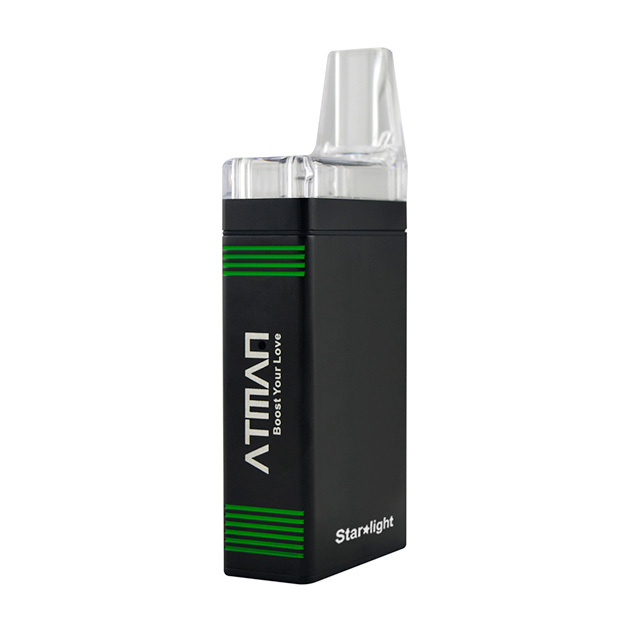 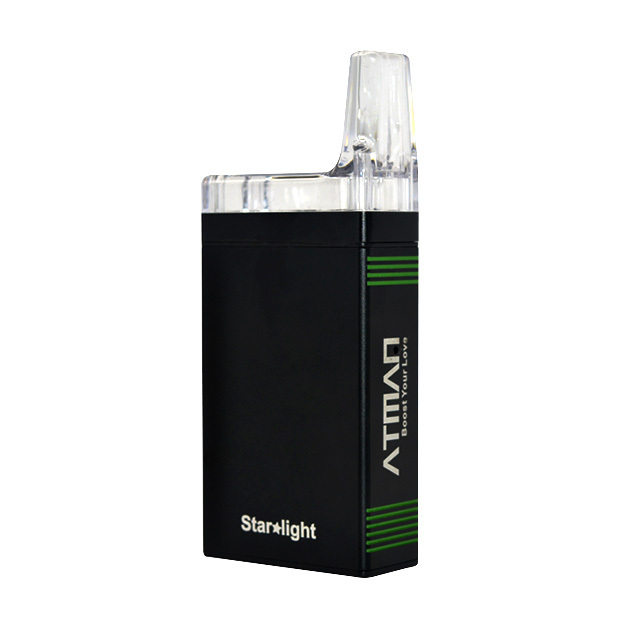 The starlight vaporizer is a portable design vaporizer, in a fashionable box style. 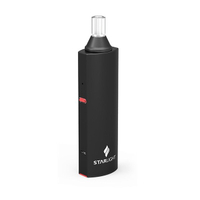 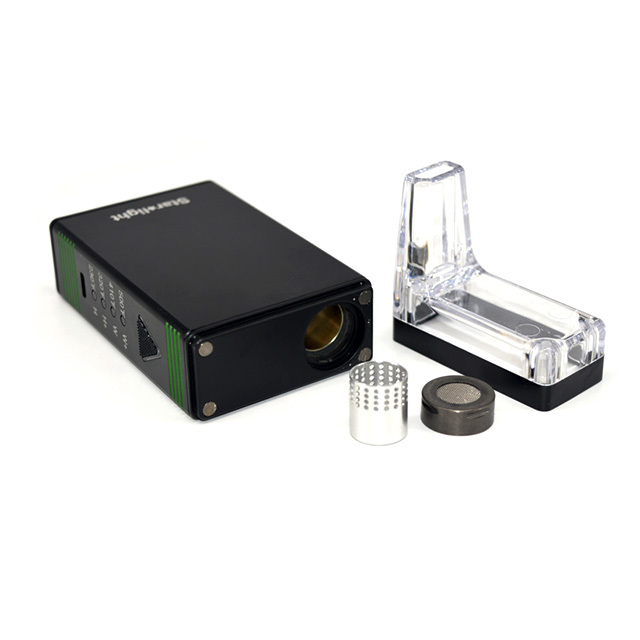 True vaporizer for both dry herb and wax. 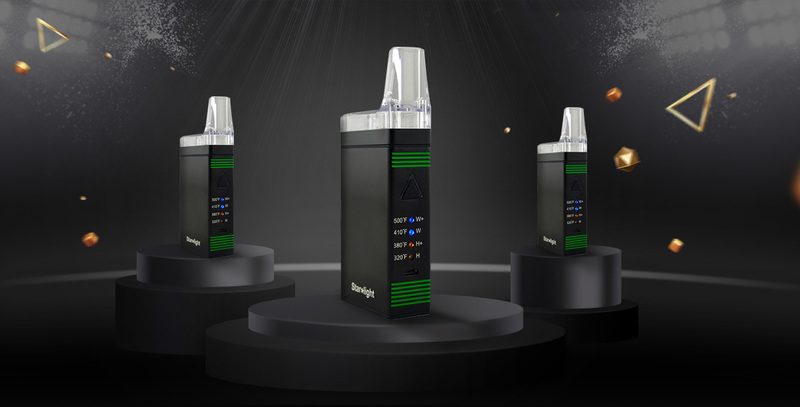 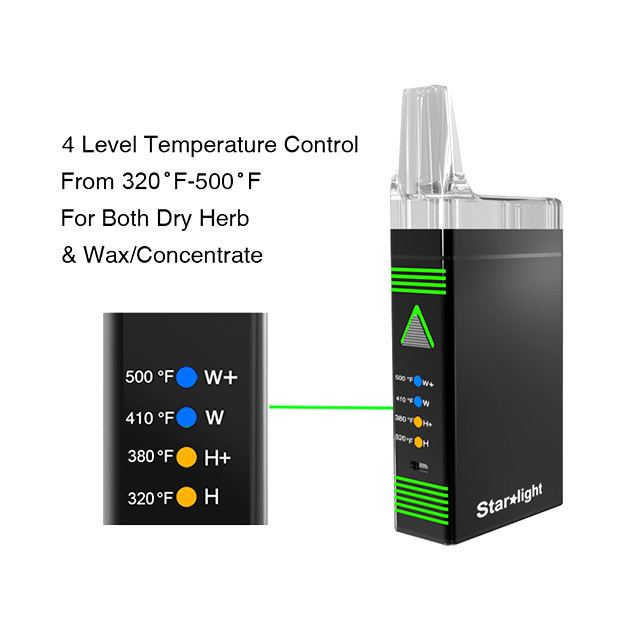 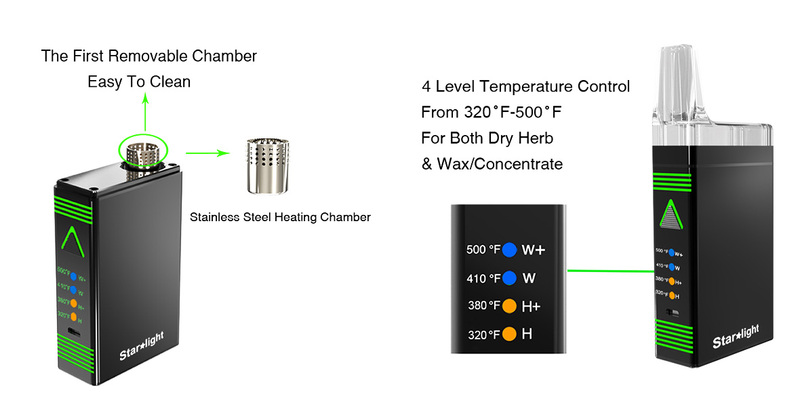 The device is equipped with advanced temperature controls from 320˚F to 500˚F in 4 levels which are compatible with both dry herb and wax. 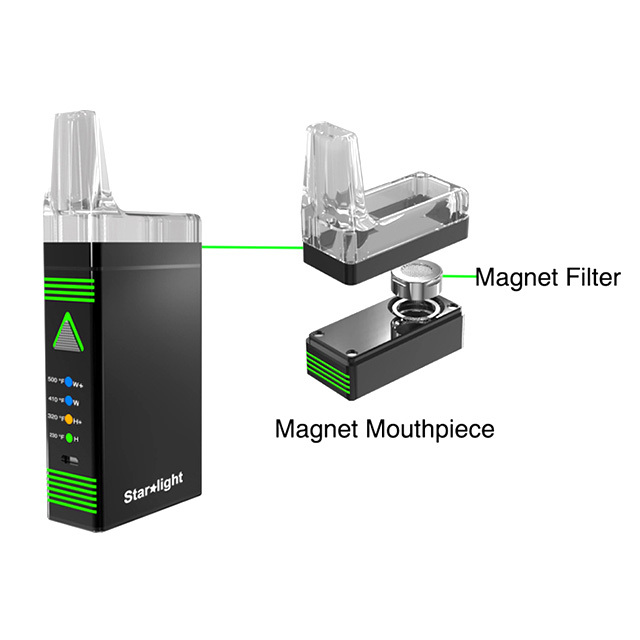 With only one power button to create a simple operation, convenient experience, and elegant appearance. 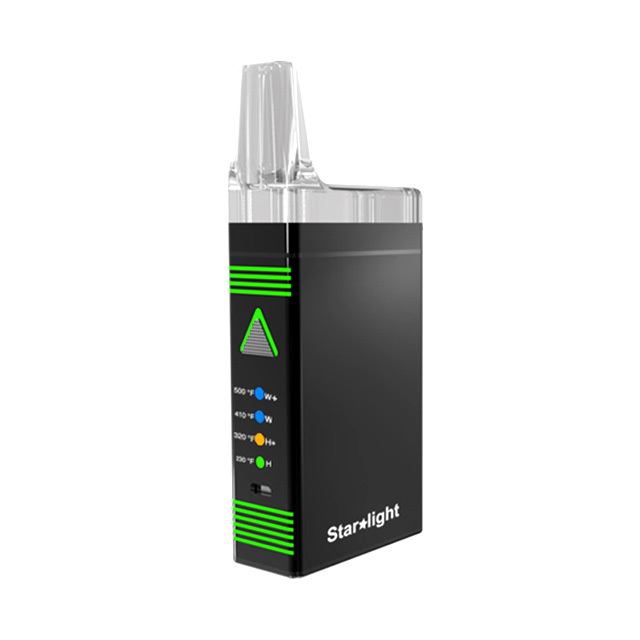 Q How long should i take for a full charge? 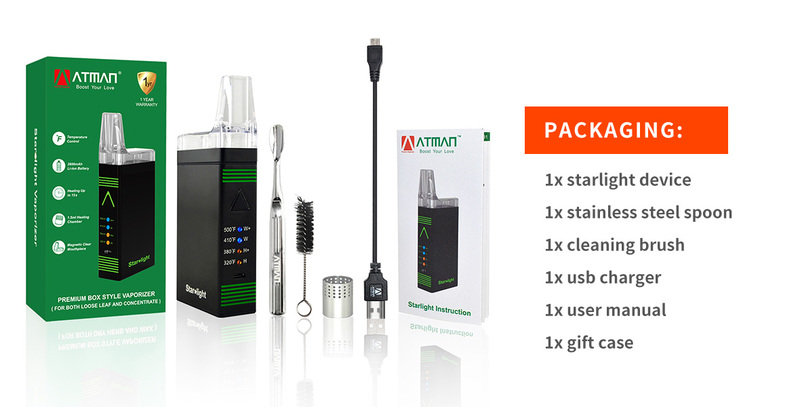 Q What kind of charger does it come with? 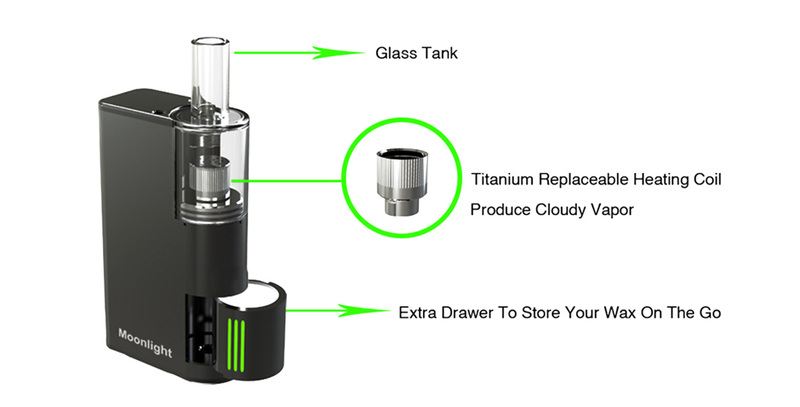 Q How many parts of this E-grinder? 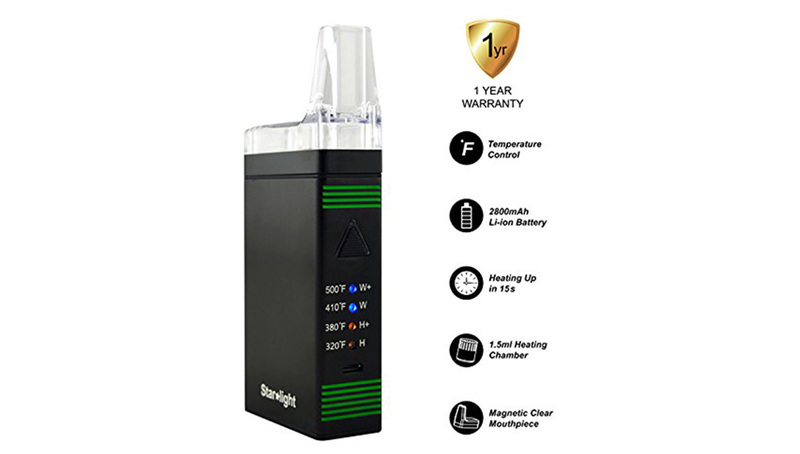 Q Can i replace the battery inside? 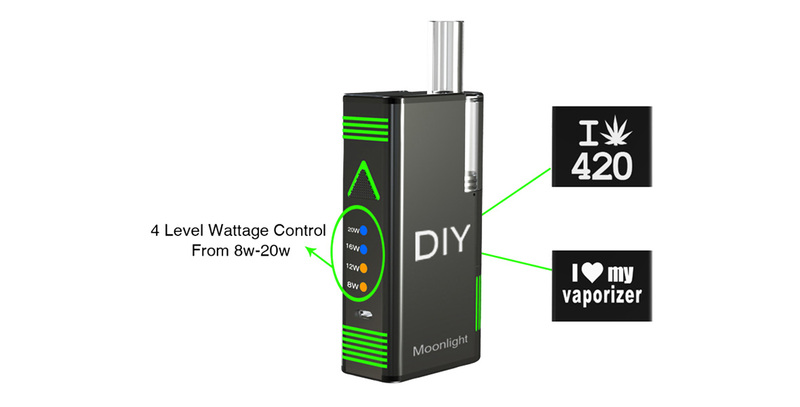 Q Will the atomizer get very hot when in use?